The Law Offices of Michael Camporeale P.C., in Queens, New York Queens County, is a firm with extensive legal experience dedicated to the practice of elder law, estate planning, Medicaid planning, asset protection from nursing homes, qualifying individuals for Medicaid homecare or institutional Medicaid nursing home care, wills, powers of attorney, living wills, living trusts, life estates, health care proxies, estates, guardianships, probate, estate litigation, special needs planning, personal injury, medical malpractice, elder abuse, bed sores cases, nursing home accidents, and real estate closings. Our Queens estate lawyer will guide you in all aspects of your estate case. With the help of our experienced estate planning lawyer Queens NY you can save your precious time and energy while facing your case in court. Our elder law lawyers and estate planning attorneys have years of experience representing clients in Queens, New York, Queens County. We understand the needs of individual clients and provide them personalized representation with utmost care. Whether you are looking for a Queens, New York, Estate Planning Attorney, Queens, New York, Elder Law Attorney, Queens, New York, Estate Planning Lawyer, or an experienced Queens, New York, Elder Law Lawyer in Queens County, The Law Offices of Michael Camporeale P.C. has got you covered. Schedule a Free Phone Consultation with our estate attorney Queens NY, estate planning attorney Queens NY, guardianship lawyer Queens NY and Queens NY probate lawyer by calling (718) 475-9639 today! Queens Elder Law Attorney – No Case Is Too Small Or Too Large! We are NY elder law attorneys in Queens County are dedicated to helping the elderly, disabled, persons with special needs and those suffering from Alzheimer’s and dementia in Queens, New York, Queens County. Understanding the legal and practical issues and needs of these individuals takes a special type of attorney. Estate planning, elder law, Medicaid and Home Care, and estate law can be daunting and confusing to the general public, those who work in the health care field and even attorneys who do not truly practice in this specific area. It is wise to hire legal services for the elderly in Queens to get most desirable outcome of your case. We are dedicated to educating our clients and their families in taking a proactive approach to estate and Medicaid planning so that family members will have the proper legal documents, tools and advice at their disposal to properly protect and preserve assets against Queens NY nursing homes and the high cost of long term care, so that we can insure the proper transfer of wealth to the next generation and not have the family’s inheritance wiped out and spent on the catastrophic costs associated with long term care costs. We take the time to get to know our clients and their unique issues. We encourage a free consultation with our clients and their children if they wish so that the proper estate planning and Medicaid planning can be accomplished to qualify clients for Medicaid, protect assets from nursing homes and transfer wealth and lessen estate, and capital gain taxes in Queens, New York, Queens County. We have been successfully qualifying and securing individuals for NY Medicaid and protecting and preserving family assets including their home from the high cost of nursing home care for individuals in the New York City metro area, Long Island, Westchester, Bronx, Staten Island NY, Queens, Brooklyn, Manhattan, and White Plains for well over a decade. Whether you refer to us as Queens NY Lawyers or Queens NY Elder Care attorneys, the Law Office of Michael Camporeale is the right choice. Find us under Queens NY Estate Lawyers, Queens NY Elder Lawyer, Queens NY Elder Care and Queens NY Elder Care Attorney. We Are Queens New York Elder Law Attorneys Dedicated To Providing Our Clients And Their Families With The Finest Legal Representation Available. Queens is the easternmost and largest in area of the five boroughs of New York City. It is geographically adjacent to the borough of Brooklyn at the southwestern end of Long Island, and to Nassau County further east on Long Island; in addition, Queens shares water borders with the boroughs of Manhattan and the Bronx. Coterminous with Queens County since 1899, the borough of Queens is the second-largest in population (after Brooklyn). Queens County is also the second-most populous county in the U.S. state of New York, behind the neighboring borough of Brooklyn, which is coterminous with Kings County. Queens is the fourth-most densely populated county among New York City’s boroughs, as well as in the United States. If each New York City borough were an independent city, Queens would also be the nation’s fourth most populous city, after Los Angeles, Chicago, and Brooklyn. Queens is the most ethnically diverse urban area in the world. Whenever you need expert advice from a queens New York real estate lawyer or a Queens NY probate attorney then contact our Queens law office. Queens has the most diversified economy of the five boroughs of New York City and is home to JFK International Airport and LaGuardia Airport. These airports are among the busiest in the world, causing the airspace above Queens to be the most congested in the country. 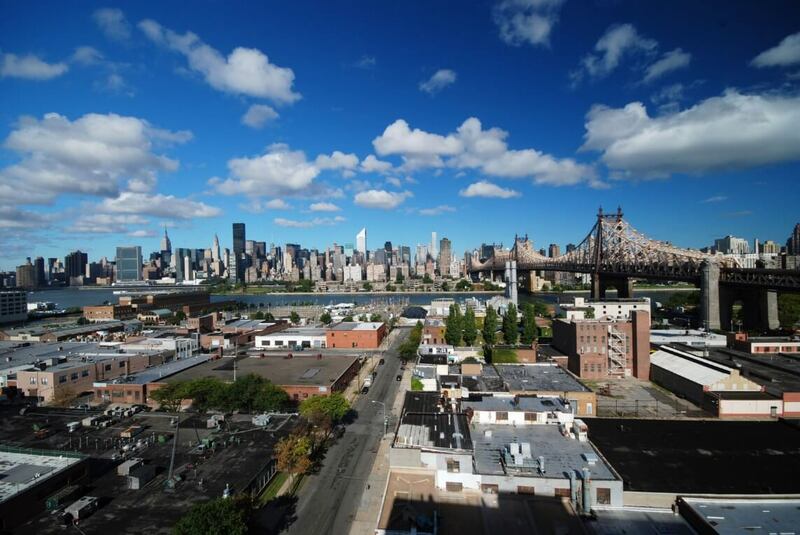 Attractions in Queens include Flushing Meadows Park—home to the New York Mets baseball team and the US Open tennis tournament—Kaufman Astoria Studios, Silvercup Studios, and Aqueduct Racetrack. The borough has diverse housing, ranging from high-rise apartment buildings in the urban areas of western and central Queens, such as Jackson Heights, Flushing, Astoria, and Long Island City, to suburban neighborhoods in the eastern part of the borough such as Little Neck, Douglaston, and Bayside.